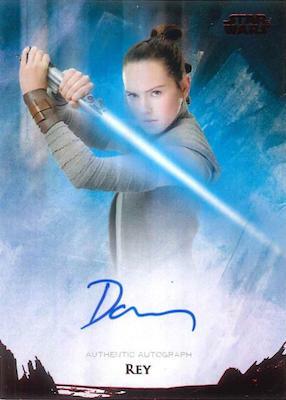 Returning for the second year, 2018 Topps Star Wars Stellar Signatures maintains a very premium format. Limited to just 100 boxes in total, every box contains 40 autographs and one sketch card. The 2017 set ran about $10,000 a box and 2018 looks to be around $9,000 per box, so Jedi fans might have to sell a lightsaber (or two) to afford the expensive release. 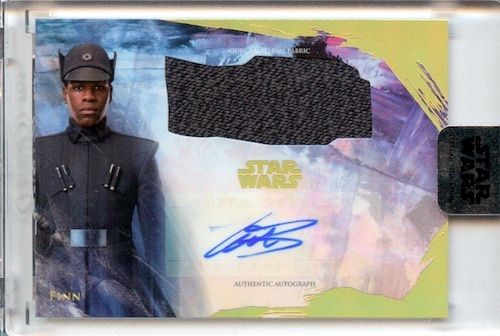 As the name indicates, Stellar Signatures is all about autographs from the Star Wars saga, and the 2018 Topps Star Wars Stellar Signatures checklist is loaded with stars. 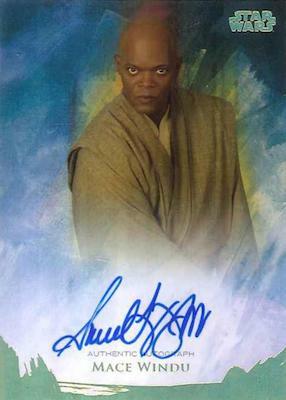 Each card is limited to 40 copies or less and the main options feature an on-card autograph. The cards are printed on 48-point stock and all come slabbed, as well. 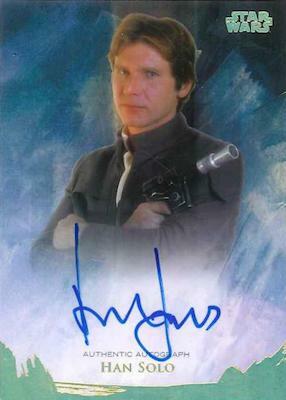 There are also Blue (#/25), Green (#/20), Purple (#/10), Gold (#/5), Galactic Black (1/1), Rebel Alliance Orange (1/1), and Imperial Red (1/1) parallels. Collectors can look forward to a one-of-one parallel in every box. 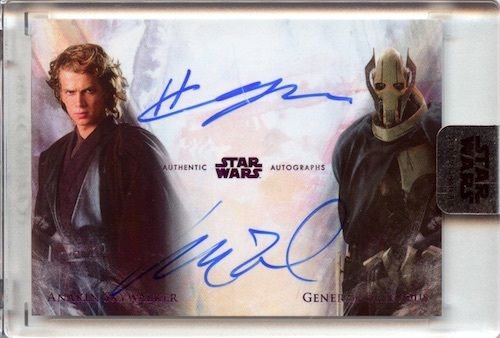 In addition, the Dual Autograph insert offers Purple (#/10), Gold (#/5), Galactic Black (1/1), Rebel Alliance Orange (1/1), and Imperial Red (1/1) versions. 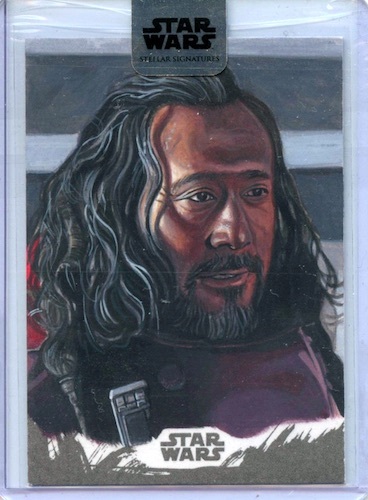 Finally, each box of 2018 Topps Star Wars Stellar Signatures has one hand-drawn Sketch card. The one-of-one artwork comes from artists Carlos Cabaleiro and Kris Penix. 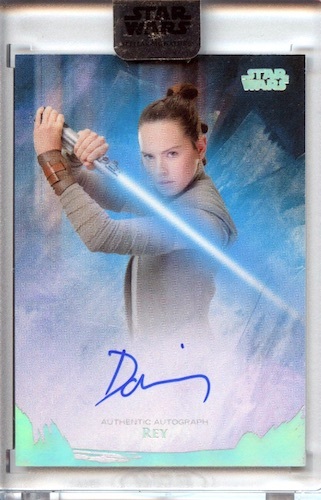 Browse 2018 Topps Star Wars Stellar Signatures cards on eBay. 34 cards. Serial numbered #/40 or less. PARALLEL CARDS: Blue #/25, Green #/20, Purple #/10, Gold #/5, Galactic Black 1/1, Rebel Alliance Orange 1/1, Imperial Red 1/1. 14 cards. Serial numbered #/40 or less. PARALLEL CARDS: Purple #/10, Gold #/5, Galactic Black 1/1, Rebel Alliance Orange 1/1, Imperial Red 1/1. 3 cards. Serial numbered #/40 or less. 2 artists. 1 sketch per box. Serial numbered 1/1.